Announced this morning, Cartoon Network will be releasing the appropriately titled Steven Universe Soundtrack: Volume 1 this June. There’s no specifics yet on just what’s actually going to be included, other than a note in the press release that it will feature “songs originally heard in the series’ 120-plus episodes,” including the show’s theme song, “We Are the Crystal Gems.” Handpicked by series creator Rebecca Sugar, the songs have been re-mastered especially for this new release, and the album will include performances from both Sugar and the vocal cast of the show. Excellent news, thanks for sharing! My whole family is going to be delighted by this - it's my 18-year-old daughter's favorite show. I recently watched all of it, completely hooked. Fantastic writing and some truly wonderful characters. It's one of the most inclusive shows on TV today - and worth your time. It is also maybe the most beautiful American animated show ever - very painterly and evocative in a lot of respects. And unexpectedly emotional. We have followed it from the start, and between this, Adventure Time, and the return of Samurai Jack, I think we are living in a new Golden Age of animated storytelling. Video of the Facebook Live reveal of the soundtrack track listing. Sound quality is not the best - but it's a good insight into the music. There's also a hint that there might be a physical release later this year. 36.What’s the Use of Feeling (Blue)? Thanks for posting. My wife and daughter won't need a physical release, and I'm a happy digital listener, but I'll be sad if this doesn't come out on CD. Imagine the cover art and booklet. This is such an incredible album - would love to see it released on CD too. 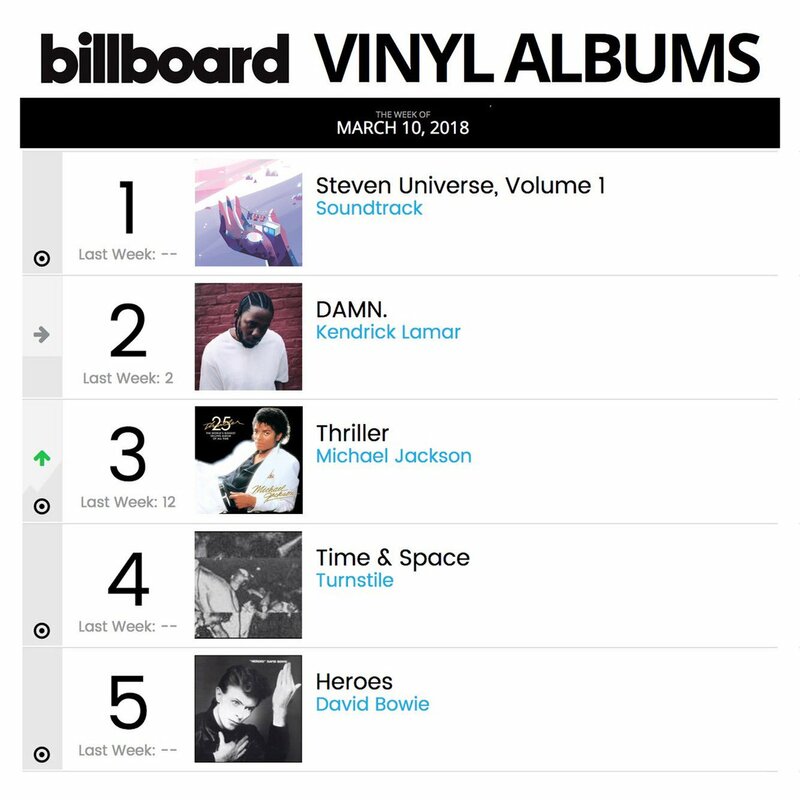 Just noticed on twitter that this album is #1 on the Billboard Vinyl charts. Still would love this on CD. Following the Billboard chart-topping success of Steven Universe Soundtrack: Volume 1, Cartoon Network is giving fans more music from the hit series that they know and love with Steven Universe: Volume 2 Soundtrack. Available for digital download and streaming on all major platforms Friday, April 12, the album will include fan-favorite tracks such as “Let’s Only Think About Love,” “Familiar,” “Escapism” and many more.